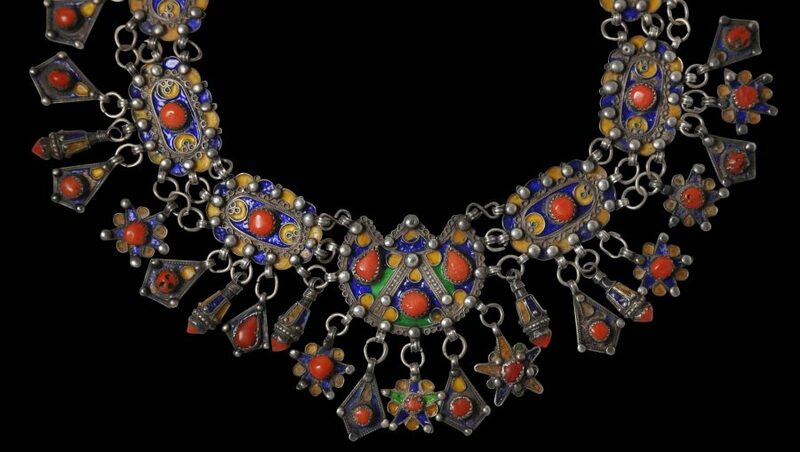 This fine woman’s silver necklace is of silver and enamel with coral cabochons in silver box settings. It is from the Berber Ben Yenni people of the Great Kabylia region in Algeria. It comprises nine main elements linked with three strands of chains. The main elements are enamelled with yellow, blue, green enamel and further embellished with natural red coral cabochons in silver box settings. Enamelled, coral-set pendant drops hang from around the necklace (some missing) giving it a showy fringe. A related example is illustrated in Daalder (2009, p. 399). Another is shown in Seiwert (2009, p. 95). Overall, the example here is very striking, stable and wearable. It is a fine example of this type or Berber work from north Africa. 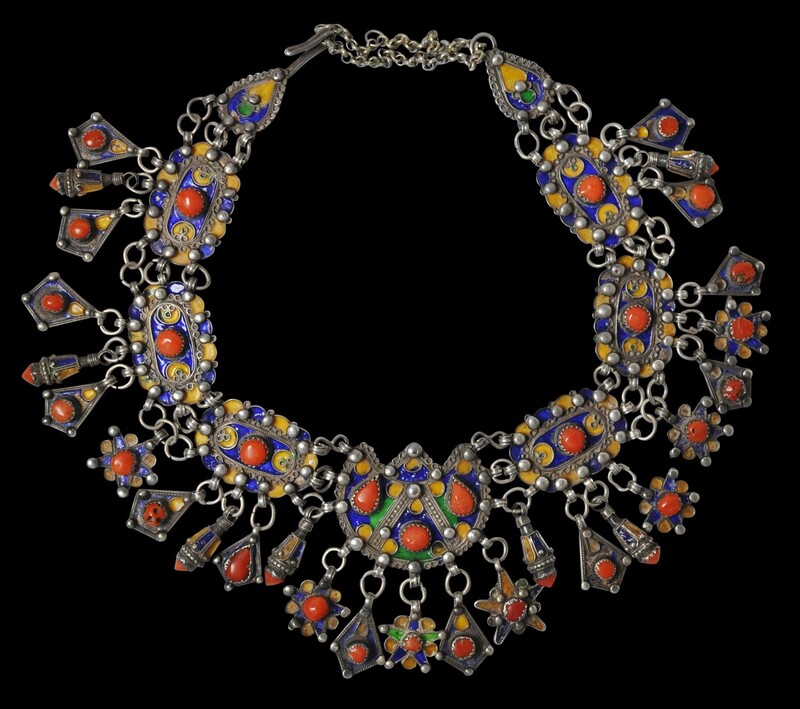 Seiwert, W.D., Jewellery from the Orient: Treasures from the Bir Collection, Arnoldsche Art Publishers, 2009.